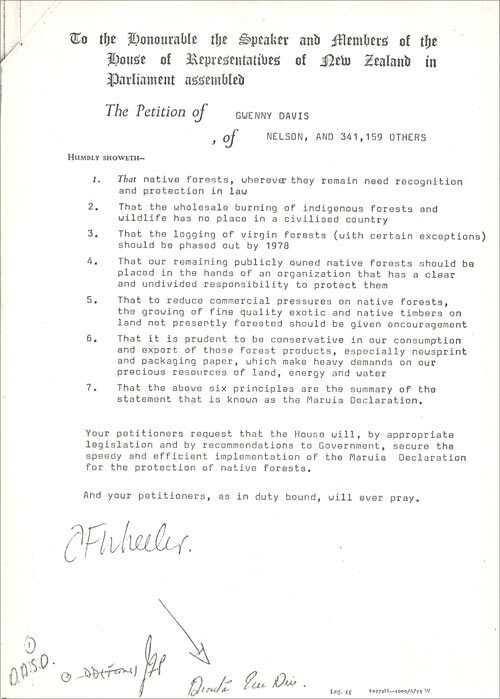 Signed by a group of conservationists in the Maruia valley on 4 July 1975, the Maruia Declaration called for legal recognition of native forests and an end to their milling. It was later circulated around New Zealand as a petition, obtaining 340,000 signatures. Although highly controversial at the time, most of its demands had been met by 2001. This petition was presented to Parliament.